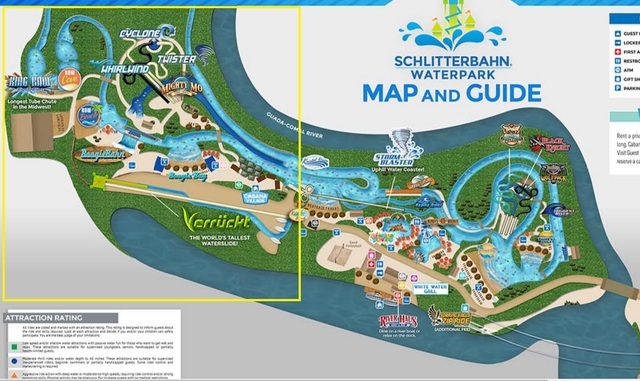 Less than 72 hours after 10-year-old Caleb Schwab died while sliding on the tallest water slide in the world, Schlitterbahn reopened to the public. 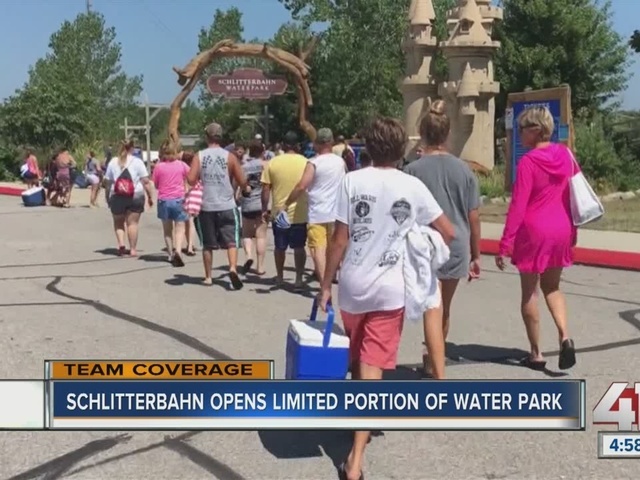 Roughly half of the water park remained closed and tickets were discounted to $28.99. Verruckt will not open for the rest of the season, and it’s still unclear if the rides around Verruckt will also stay closed. 41 Action News producers went inside the park to show Schlitterbahn workers building a makeshift wooden fence alongside Verruckt. Those inside the park said they were surprised by how busy it was, but said that everyone being confined to only half the park likely played a role. "Everyone acted almost completely normal like obviously when we walked in it was kind of strange knowing that someone lost their lives here just two days ago,” said a woman identifying herself as Emily. “But it felt like a normal day here at Schlitterbahn. Like we were here last summer and it didn't feel much different than that." 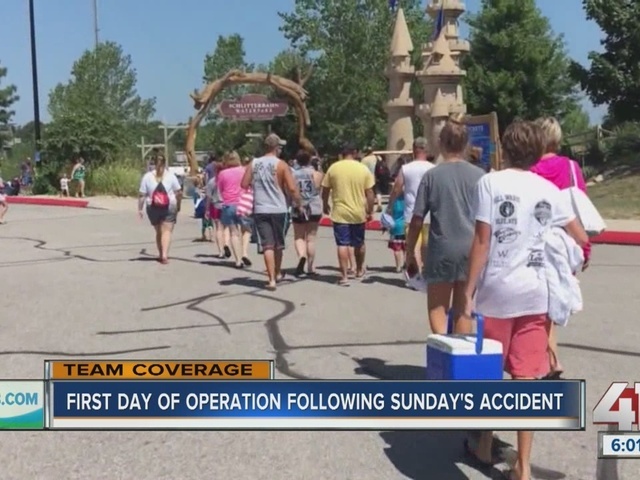 Most of the park’s guests that 41 Action News talked to said they planned the trip long before the deadly accident on Sunday. Weaver said he trusts that Schlitterbahn rechecked every ride while the park was closed. “Accidents happen every day. There are car wrecks every day [but] we don't stop driving. You got to still have fun. Sorry for the event that happened, but we’re still going to come out and have some fun, enjoy the day,” said Weaver. Hannah Holland works as a nanny for two young kids. She said she was nervous about coming to Schlitterbahn after the accident. Guests at the park were greeted by a memorial dedicated to Caleb. A Schlitterbahn spokesperson said people started dropping off the floral arrangements Tuesday night. 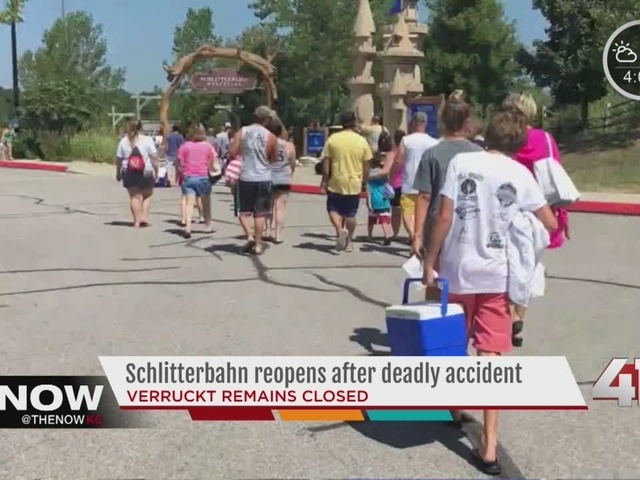 Guests on Wednesday we’re divided on whether Verruckt should reopen. "I’d say they should probably completely redo the ride. I rode it last summer, and felt it was safe but now realizing that it obviously wasn't. I would definitely say that they need to rethink that whole thing," said a man identifying himself as Kyle. “I would just say they need to prove they did a full inspection, that it’s completely safe again so that people know that it’s safe to ride. I don’t think it would be good to shut the whole ride down though permanently,” said Emily. Brian Abel can be reached at brian.abel@kshb.com.